I replied, that I'd be up for it, and she replied to me today. I'm as happy as a sand boy. I am insanely jealous! Will you please tell us all about it afterwards? I'll try to, and I'll try to include photos. I've already done the three day trip that takes us from our home town to the meet-up venue, so that's not going to be a problem. Then there will be three nights in a tent, with all the activities. Apparently, one of the days is supposed to be a group ride with participants in costumes representing their regions or countries. I was thinking about this while walking to the railway station this morning... What region or country would I represent, and what costume would fit with that? And would it be recognizable to other people? First thought was a John Bull kind of look: Union Flag waistcoat over white shirt, riding breeches and boots, maybe a tail coat. I think I could make something from kydex to give my helmet a kind of top hat shape. I could also knock up some brown boot-toppers for my black boots. 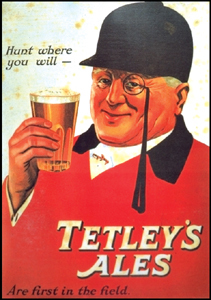 Then, since I'm originally from Yorkshire, I started thinking about the Joshua Tetley Huntsman figure. 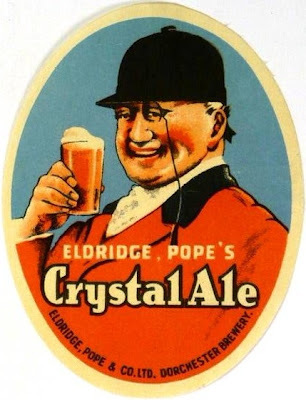 I discovered a few months ago, that an almost identical huntsman figure was also used by Eldridge Pope, or Dorchester, too. There are variations in both Tetley's and Eldrige Pope's huntsman, so the two below are not the closest resemblance out there (I chose these two for being similar in size). But the event is in late July, early August, and I wonder that a buttoned up red hunt coat would be too hot (and quite possibly too expensive). Last thought was something from the English Civil War period. This is easy; I have a pair of bucket-top boots, shirt and jacket would be easy and inexpensive to get. It would also be a good excuse for me to get a suitable sword, a pair of pistols and a lobster pot helmet to go with my morion from my days as a pikeman. I wouldn't want to wear breast and back plate, but I think I could handle a buff coat, left open. 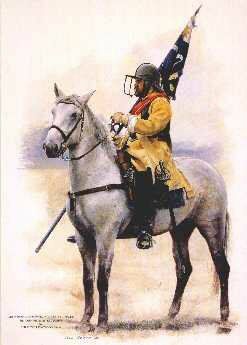 I wonder, though, about the suitability of a historically correct helmet for riding. I wear suitably historically correct headgear every day; still alive. 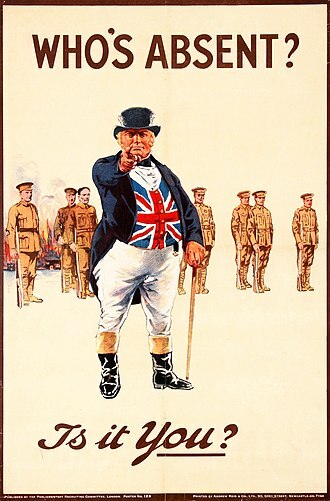 The only one of those outfits that say "British" to me is the first one; John Bull. The others are "just" huntsmen and the ECW get up perhaps wouldn't mean much to any non-Brit?